Excess of anything is bad. This is a very famous phrase we all know. This applies even to our body components. Cholesterol is needed in our body as it makes the outer layer coating of the cell. Then it is needed so that the bile acid in the intestine can digest food. Also, it allows the body to make Vitamin D and hormones. With such important need, cholesterol is important for our body to function properly. But then, if it is excess in amount then it can cause various health issues. The commonly known factor is stroke. With the high level of cholesterol in the blood one has a higher risk of getting a stroke. This happens as these cholesterol components go and settle in the arteries of the heart and then they affect the flow of blood. When the heart starts to receive less blood, the flow of the blood starts to get affected and then heart can stop its function anytime. Apart from the heart attack, it can also cause clots. What happens is the cholesterol block the flow of the blood. Similarly, if the flow towards the brain is affected, you can get clot. This can be another cause of your death. And if the blood flow near to your heart is affected, you can get chest pain also. 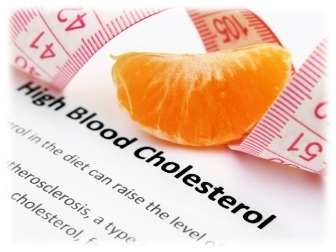 There can be various reasons to have high cholesterol in your blood. It could be because of the lifestyle we have. The more we eat those foods which contain fat and are high in calorie, the more is the chance of having high cholesterol. 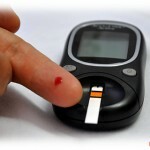 Also, those who smoke a lot and are obese are at the risk of having high cholesterol level in their blood. If you’ve a history of heart problems in your family, then also the risk of cholesterol increases. 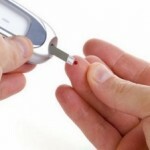 People who are suffering from diabetes and high blood pressure are also at the risk. To maintain the cholesterol in the blood one should simply watch his/her diet. It is important that you opt for healthier fat sources. This could be found in olive oil, peanut oil, almonds, walnuts and others. Also, if you’re obese then you should lose your weight and keep it in control. You need to exercise regularly so that your metabolism works properly and you’re able to digest all those fats that you eat. The more you would burn the fat and be in shape the lesser the chance of getting high cholesterol. As we said that smoking can be the reason behind high levels of cholesterol so you should quit smoking. It is important that you help your body to maintain the level of cholesterol so that they can function properly. And moreover, there is no harm in staying fit and fine. By now you have come to know what high cholesterol can do to your body. It is better that you keep it in control so that there is no hindrance in the work mechanism of your body and you stay fit.